Palmetto Citizens offers great rates and extended terms on used vehicle loans, including special promotions with Enterprise Car Sales. At Palmetto Citizens, we offer the same low rates and extended terms on new to 3-year-old models. Plus, there are no payments due for up to 90 days. * If you are in the market for a quality used vehicle at a fair price, one option to consider is Enterprise Car Sales. Enterprise Car Sales offers a great selection of more than 250 makes and models of used cars, trucks, vans and SUVs from their local and nationwide inventory. You may also visit Enterprise Car Sales at 320 Greystone Blvd. or call (803) 254-0244 (Monday-Friday 10am to 8pm / Saturday 10am - 6pm / Sunday 12pm – 5pm). For more than 50 years, customers have trusted Enterprise Car Sales with their vehicle buying needs.Their professional sales team and no-haggle pricing puts the customer first, so you can find your ideal vehicle with confidence. If you have a trade-in, they can help with that too. They use Kelley Blue Book® to determine the trade-in value of your vehicle and their offer is good for 7 days or 300 miles. There is no obligation or purchase necessary, you can sell them your vehicle outright, or use it to trade in toward one of their vehicles. *Option for up to 90 days. Finance charges begin on date of loan closing and are repaid over term. 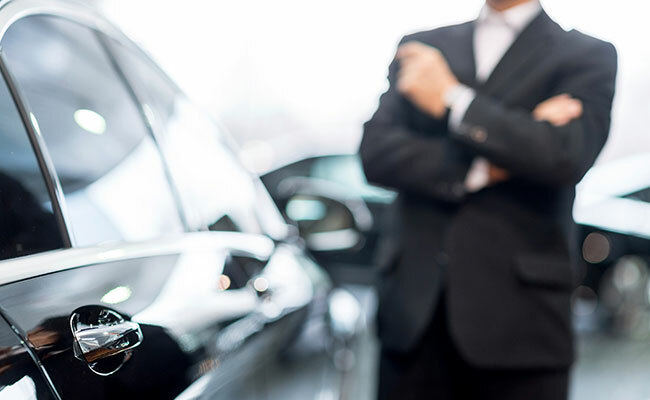 **Must purchased vehicle from Enterprise Car Sales and finance with PCFCU between 4/1/19-4/30/19. Based on 36-month term for 2019-2016 vehicle model. Rate may vary and is determined by creditworthiness, amount financed and loan terms. All rates and terms are subject to change without notice. APR = Annual Percentage Rate. Void when 7-day Repurchase Agreement is activated. No cash advances. Offer not valid for previous Enterprise purchases or with any other Enterprise offer. 1Limited warranty begins on vehicle purchase date and extends for 12 months or 12,000 miles, whichever comes first. Restrictions apply. For details, see an Enterprise Car Sales manager. 2For seven days or 1,000 miles from the purchase date, whichever comes first, the vehicle may be returned minus a $200 documentation and cleansing fee. Restrictions apply. For details, see an Enterprise Car Sales manager. 3Enterprise 12-month Unlimited Mileage Roadside Assistance Package is provided by the American Automobile Association (AAA) and its affiliate clubs in the United States and Canada. The "e" logo, Enterprise, and "Haggle-free buying. Worry-free ownership." are trademarks of the Enterprise Rent-A-Car Company. All other trademarks are the property of their respective owners. © 2016 Enterprise Car Sales. You are now leaving Palmetto Citizens Federal Credit Union's website.